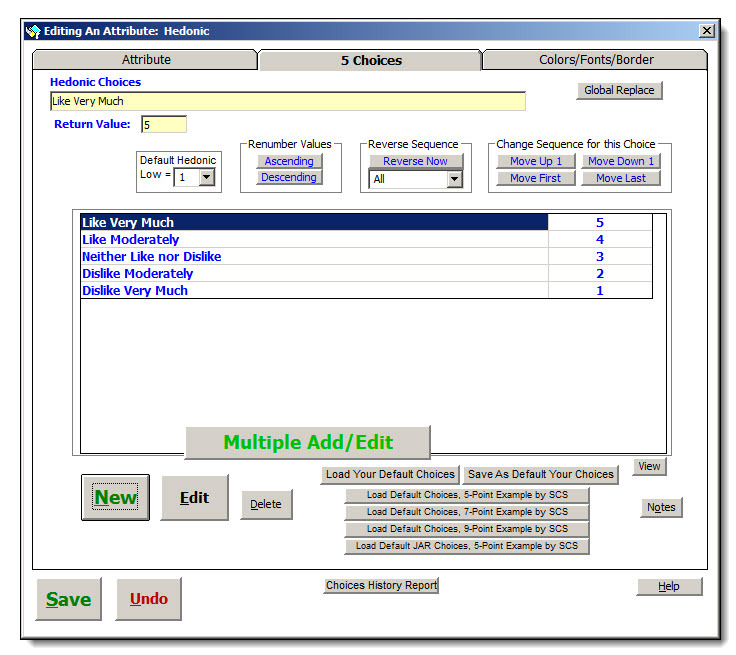 Your SIMS category hedonic scales have very flexible options and are quite easy to create. 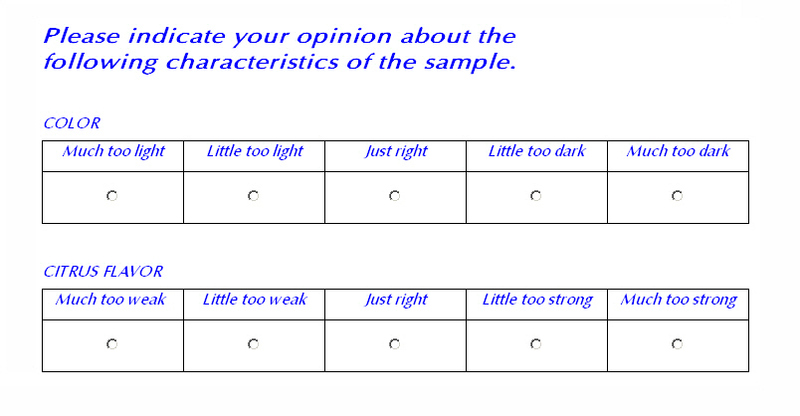 Now, please taste as much of the sample as you need to form your opinions. 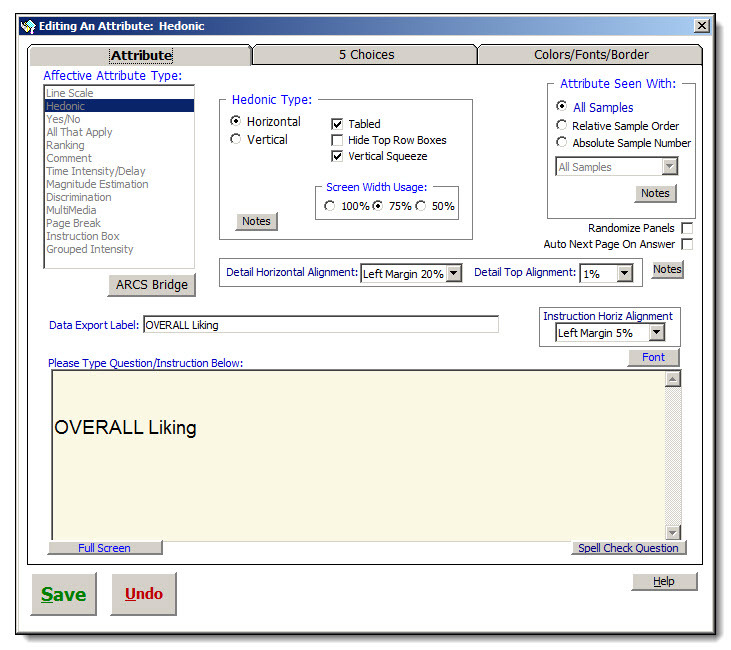 Please indicate how well you LIKED or DID NOT Like the sample. The scale above is a horizontal hedonic example, this next scale shows a vertical example. Overall Liking, how much did you like the sample Overall? You can select your favorite colors, fonts, sizes, everything is customizable and controlable for you.